You and your loved ones deserve the best. 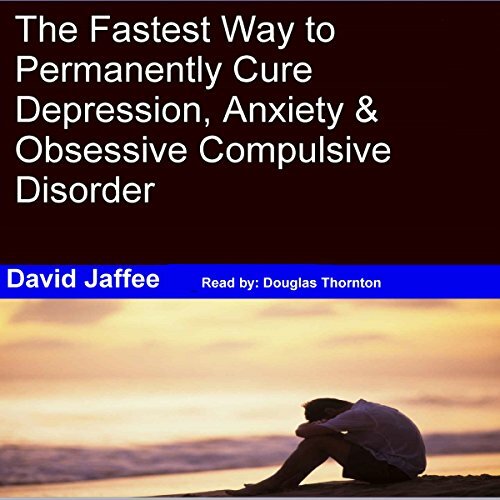 Get the absolute best guide to curing depression, anxiety, and OCD. Maximize your life. A must listen for everyone! This is the best guide I've ever heard on how to heal my depression. The author is remarkably knowledgeable and has valuable experiences. Many of his suggestions I'd never heard of before, and then when I Googled it, there was a ton of scientific research to back it up. It is awesome. This guy is so knowledgeable. He provides 30 ways to cure depression, anxiety, and OCD. All of his suggestions are awesome. It definitely will help me to cure my problem. I have begun to execute some of the instructions and I already feeling better! This book is a LIFESAVER! I highly recommend this useful guide to all. Over half the book is just the author’s whiny story. 20 minutes is of any value and you already know it ... exercise, eat right, maybe supplement. I’ll be returning this piece of crap! The BEST guide about mental illness that I've ever encountered! Straight, to-the-point, direct and accurate. It's unfortunate that there are so many bad guides out there. I'm SO lucky that I found this!!! So, I can say, it is the best guide for anxiety cure.